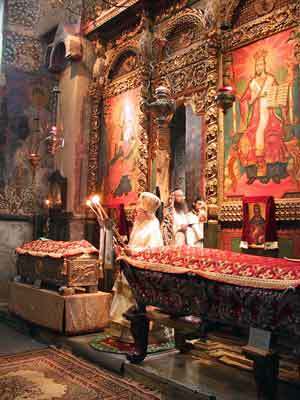 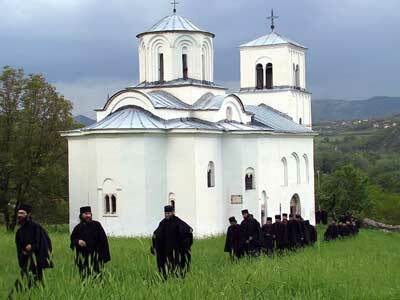 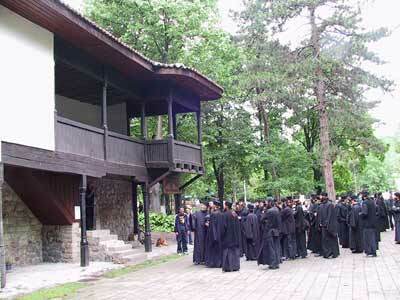 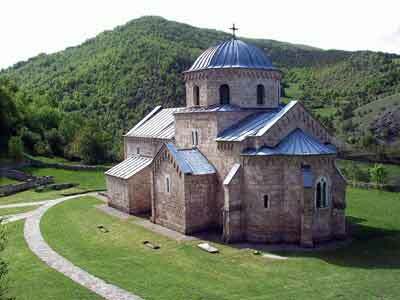 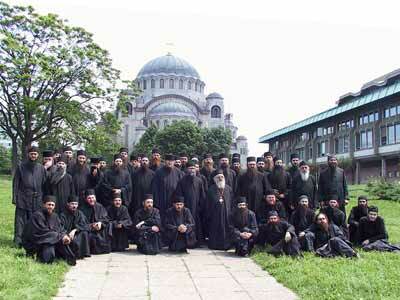 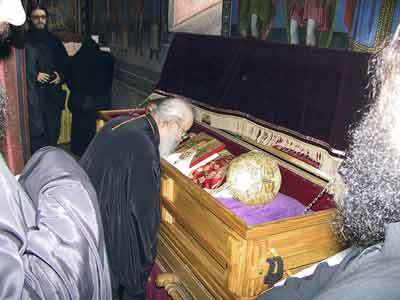 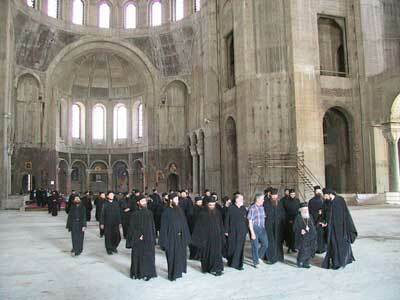 First time after the war, Bishop Artemije organized a pilgrimage to central Serbian monasteries and Belgrade with his monks. 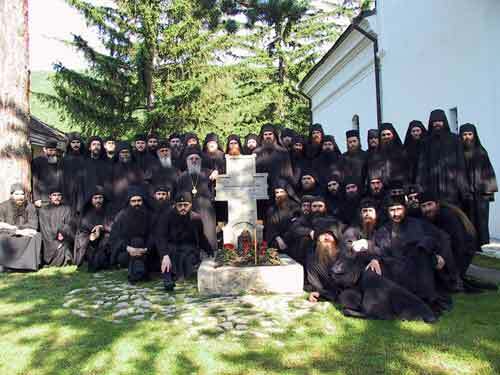 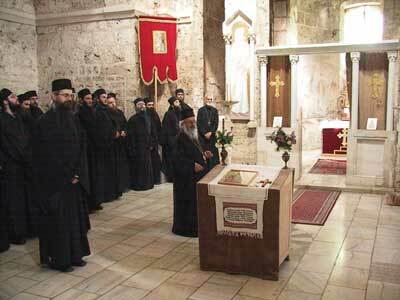 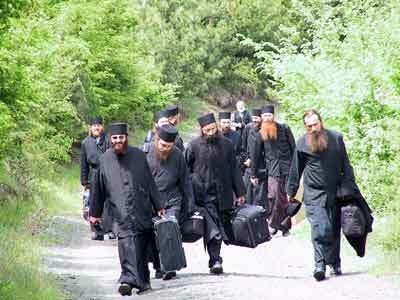 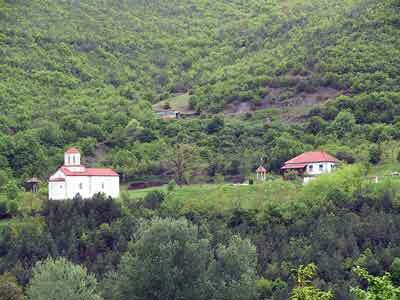 Altogether 52 monks joined their bishop in this pilgrimage visiting the monasteries of Gradac, Pavlica, Studenica, Zica, Lelic and Celije. 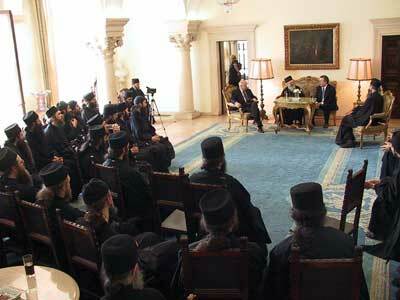 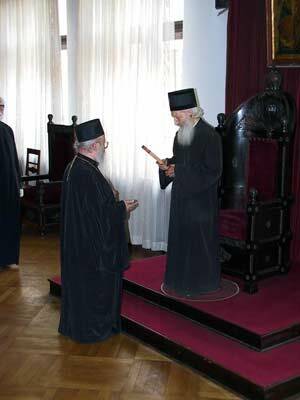 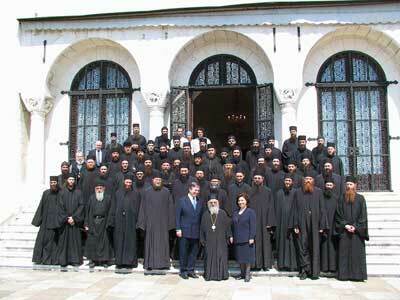 In Belgrade the monks with their Bishop were received by His Holiness Patriarch Pavle who gave them his patriarchal blessing. 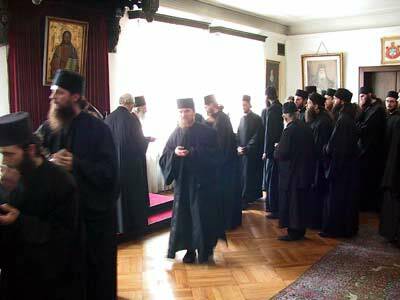 At the end of the visit the monks were received by TRH Crown Prince Alexander and Princess Katherina Karadjordjevic in their ancestral Royal Palace in Belgrade.